I stumbled upon a local Jensen Healey a few years back where the owner was asking a very low price and the car looked decent from the outside. However, when I sat in the drivers seat I noticed the seat wasn't attached to the body anymore, the seat tracks having rusted out of the frame, and a moldy carpet was the only thing between me and the ground. Naturally, I passed on that car, but if you want something that is slower and handles worse than a Miata in every possible way...but isn't a Miata...you could get one of these. 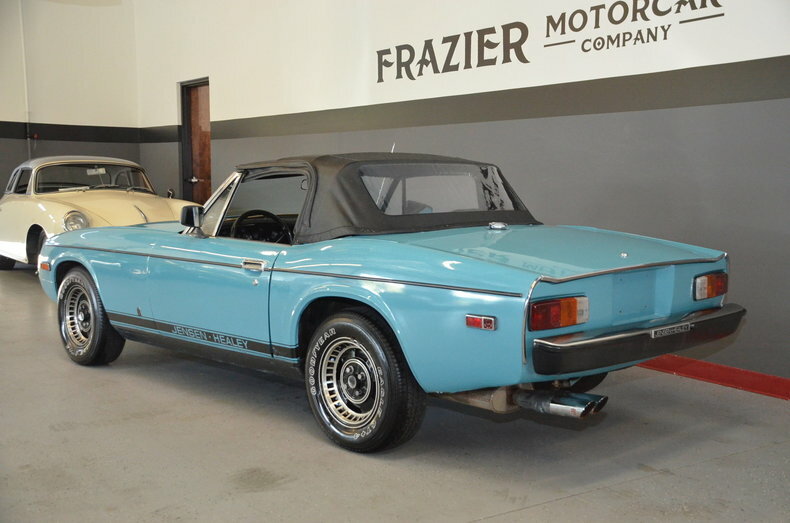 Find this 1973 Jensen Healey bidding here on eBay for $6,800 reserve-not-met with $10,850 buy-it-now located in Lebanon, TN. This is a nice straight,good driving Jensen Healey.These cars are grossly under priced for as exotic,rare and well developed they are.I cannot help but think these rare gems can do only one thing in value-rise! 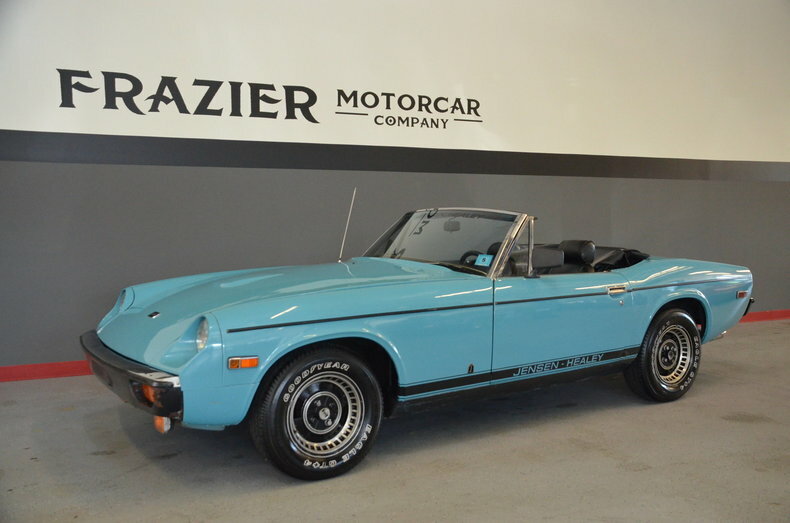 This particular example is straight with a good motor,interior,soft top,carpets,gauges.The transmission is quiet with good synchros and a good clutch.The car does not over heat or blow exhaust smoke.The tires are deep in tread. There will be an additional $299 dealer doc fee assessed to final transaction amount. I remember when these came out. The "All-Lotus" engine was an all-alloy 2.0L, so I have to suppose it was a step up from the Kent-Ford-based 1558cc Lotus Twincam. Does anyone in DT-Land have experience with both? Yes, but you can't get a Miata in a stock baby blue color. This is probably the one and only advantage that California has over other states when it comes to fees and vehicle ownership costs: doc fees capped at $55, the lowest in the country. But that's easily countered by pricy smog test requirements. Win some, lose some. Yeah, I lived in MA/NH my whole life and always had to pay ridiculous doc fees when you'd buy from a dealer. Moved to CA and when I went to buy a car from a dealer this summer I was expecting to get hosed and couldn't believe it when it was only $55. These are pretty cool cars, and are faster than the standard 4cyl MGs and Triumphs of the era. Rust is a huge problem. I've been casually watching these, have looked at a few. This is all the money for one, better be absolutely perfect. Looks pretty dry in the pictures. Only obvious nit-pick is the missing timing cover. This motor was in the Elcat and the first generation Esprit. From what I understand can be built for a bit more power. Stroker crank will take you to 2.2, 200ish hp. My sister has had one of these for 30 years now. I was instructed to help her pick out a suitable car for college and I figured that with a Jensen Healey she would never be the one that had to provide the car for road trips or moving from one apartment to another. Super practical! Anyway they are great to drive. They very definitely have a live rear axle but it is well behaved. Other than that the driving dynamics can only be described as totally predictable and transparent. When you are approaching the limit it's a nice friendly "it might not be a good idea to push this much further" as opposed to "how dare you not appreciate the generous grip afforded to you, I banish you to yon tree where you will be smote with the wrath of newtons first law"
Parts are easy to get, and it's easy to work on. Oh, forgot to mention, the air cleaners are wrong, there is supposed to be a timing belt shroud, and the alternator looks like it might be a different brand and of course that's a generic rad hose and cap. None of those affect the driving experience and alternator substitution is pretty common. Years ago, I was driving a just-got-it-running VW Rabbit back home. Bought it for 160 bucks. Needed a valve job (which, if you were clever, was REALLY quick...hint: if the engine was warm, the valves went out and in crazy fast). I was driving home on the freeway/expressway with my newly repaired Wabbit, and hit a >BUMP<. You know, one of those life-changing BUMPS where something weird happens to the car, and you don't know what it is...yet. Like it was more "bouncy" than normal. Shocks were fine (I'd just had them checked out when the engine work was done). I will still driving 55 (or 60, or...). I reached over to the passenger section, and pulled away the carpet. The rusted unibody had CRACKED into 2 pieces (!) just below the A pillar, allowing me a beautiful view of the highway as it sped by underneath. Erring on the side of caution, I slowed, and pulled over to the shoulder (Let's be honest: I was 20. I freaked out). I've spent a lot of time on the shoulder of the highway. Have I ever mentioned that? I checked out the body tear from inside and out. I jumped on the hood of the car (trying to see if I could break it it half). Nope. German welds were just too strong. Car stayed together. So, I drove it back to the shop where I'd just had the valve work done. Enjoying the view. Of the road. We stripped the car. Only the broken shell was left. We put that bee-yootiful rebuilt (new valves) engine into a Scirocco I bought a few weeks later for a few hundred bucks. We completely stripped the cracked Rabbit. When just the body was left, I remember lifting the shell up, and moving it all by myself. The entire body couldn't have weighed more than a few hundred pounds. Amazing. Now I had all these Rabbit parts. What to do? I bought a hopeless basket case Scirocco a few weeks later, and we popped the old Rabbit engine into it. After the transplant, the Scirocco gave me a set of memorable... surprises. I kept driving it a bit, sorted it out piece by piece, and eventually sold it to help pay my college bills. "Erring on the side of caution"
Compared to the rest of the story, I suppose you could look at that way. I owned one of these back in the day, as a poor college student. Owning this thing made me poorer. Yes, it was fun to drive when it was running right, but it was running right maybe 20% of the time, and running AT ALL maybe 50% of the time. This was nearly 40 years ago, and it was such a traumatic experience that I’ve never owned another British car ever since. I could write thousands of words describing the troubles I had with that car and still only scratch the surface. Even then, parts were already pretty much unobtainable, except for engine parts, which were generally available form the local Lotus dealer at Lotus prices, which as a starving college student pretty much made them the same thing as unobtainable to me. It was so bad that I traded it in on a late model Porsche 924 (yes, I made some poor decisions in my youth), and even THAT was a big step up in dependability and cost of ownership! Yes, it was a fun car when operable, but I wouldn’t wish this thing on my worst enemy. 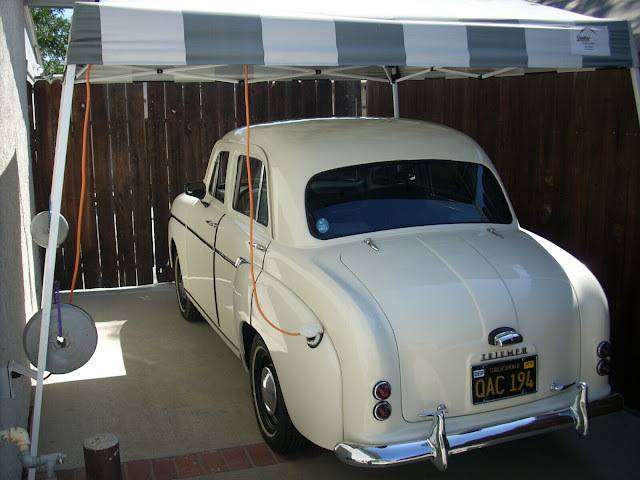 A lot of cars that were difficult to maintain when new are much easier today. 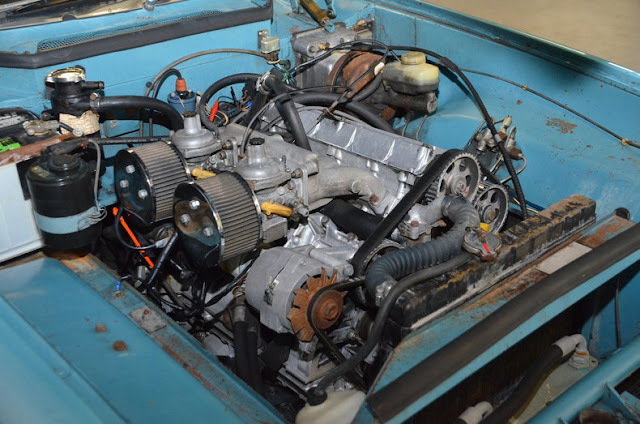 Collective knowledge from enthusiast forums and specialty vendors on the internet make a huge difference when driving something odd or unusual. Sometimes the things that made vehicles get such a bad rap have been solved in the intervening years as well. I have a Vanagon, when new they got a bad rap for head gaskets. Not really a problem now, phosphate free coolant and distilled water, change every couple of years. Agree. I had a Fiat 124 for a few years recently that I restored and upgraded. Older folks would laugh and make all the classic FIAT jokes. I drove the hell out of it, long trips, highway, mountain roads, hot days, cold days...ran great and never gave me a single problem after I sorted it out. Rip out all that crappy 70s emission equipment, put a proper carb on it, and do a little bit of electrical upgrading and most of the issues are non-existent. Same for a lot of these 60s and 70s British cars. So despite all of the bad that the social media side of these here internets have spawned, there certainly is still some good out there too. Happened onto one of these on a used car lot in my yoot. Begged my Dad to let me sell off my 81 Corolla SR5 for it, and the answer was a non-negotiable 'NO.' That was probably a good decision. Still, would have been pretty cool. I still think they look pretty good. These were designed from the outset to be repairable by their owners, even to the extent of bolt on body panels on the assumption that owners would want to race them and there would be lots of shunts. Not much more complicated than a 80s Japanese pickup or old Volvo. All the mechanical parts are from someone else's parts bin.